MOLLY IVINS BEGAN WRITING HER SYNDICATED COLUMN FOR CREATORS SYNDICATE IN 1992. ANTHONY ZURCHER IS A CREATORS SYNDICATE EDITOR BASED IN AUSTIN, TEXAS, AND HE HAS BEEN MOLLY'S EDITOR AND FRIEND FOR MANY YEARS. THANK YOU FOR YOUR ATTENTION. -- CREATORS SYNDICATE, INC.
Molly Ivins is gone, and her words will never grace these pages again -- for this, we will mourn. But Molly wasn't the type of woman who would want us to grieve. More likely, she'd say something like, "Hang in there, keep fightin' for freedom, raise more hell, and don't forget to laugh, too." If there was one thing Molly wanted us to understand, it's that the world of politics is absurd. Since we can't cry, we might as well laugh. And in case we ever forgot, Molly would remind us, several times a week, in her own unique style. Shortly after becoming editor of Molly Ivins' syndicated column, I learned one of my most important jobs was to tell her newspaper clients that, yes, Molly meant to write it that way. We called her linguistic peculiarities "Molly-isms." Administration officials were "Bushies," government was in fact spelled "guvment," business was "bidness." And if someone was "madder than a peach orchard boar," well, he was quite mad indeed. Of course, having grown up in Texas, all of this made sense to me. But to newspaper editors in Seattle, Chicago, Detroit and beyond -- Yankee land, as Molly would say -- her folksy language could be a mystery. "That's just Molly being Molly," I would explain and leave it at that. But there was more to Molly Ivins than insightful political commentary packaged in an aw-shucks Southern charm. In the coming days, much will be made of Molly's contributions to the liberal cause, how important she was as an authentic female voice on opinion pages across the country, her passionate and eloquent defense of the poorest and the weakest among us against the corruption of the most powerful, and the joy she took in celebrating the uniqueness of American culture -- and all of this is true. But more than that, Molly Ivins was a woman who loved and cared deeply for the world around her. And her warm and generous spirit was apparent in all her words and deeds. Molly's work was truly her passion. She would regularly turn down lucrative speaking engagements to give rally-the-troops speeches at liberalism's loneliest outposts. And when she did rub elbows with the highfalutin' well-to-do, the encounter would invariably end up as comedic grist in future columns. For a woman who made a profession of offering her opinion to others, Molly was remarkably humble. She was known for hosting unforgettable parties at her Austin home, which would feature rollicking political discussions, and impromptu poetry recitals and satirical songs. At one such event, I noticed her dining table was littered with various awards and distinguished speaker plaques, put to use as trivets for steaming plates of tamales, chili and fajita meat. When I called this to her attention, Molly matter-of-factly replied, "Well, what else am I going to do with 'em?" Perhaps the most remarkable aspect of Molly's life is the love she engendered from her legions of fans. If Molly missed a column for any reason, her newspapers would hear about it the next day. As word of Molly's illness spread, the letters, cards, e-mails and gifts poured in. Even as Molly fought her last battle with cancer, she continued to make public appearances. When she was too weak to write, she dictated her final two columns. Although her body was failing, she still had so much to say. Last fall, before an audience at the University of Texas, her voice began as barely a whisper. But as she went on, she drew strength from the standing-room-only crowd until, at the end of the hour, she was forcefully imploring the students to get involved and make a difference. As Molly once wrote, "Politics is not a picture on a wall or a television sitcom that you can decide you don't much care for." For me, Molly's greatest words of wisdom came with three children's books she gave my son when he was born. In her inimitable way, she captured the spirit of each in one-sentence inscriptions. In "Alice in Wonderland," she offered, "Here's to six impossible things before breakfast." For "The Wind in the Willows," it was, "May you have Toad's zest for life." And in "The Little Prince," she wrote, "May your heart always see clearly." Like the Little Prince, Molly Ivins has left us for a journey of her own. But while she was here, her heart never failed to see clear and true -- and for that, we can all be grateful. 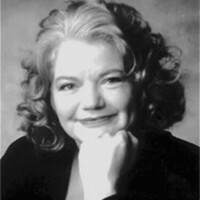 To find out more about Molly Ivins and read her past columns, visit the Creators Syndicate web page at www.creators.com. Molly Ivins' final column, "Stand Up Against the Surge," is available here. Use the calendar below to navigate through her columns from 2006.